The Range Kleen BP102X 2 Piece Heavy Duty Broiler Pan with Porcelain Grill is a welcome replacement for old broiler pans or a new addition to every kitchen. Broiling allows users to quickly cook food in a healthy way. 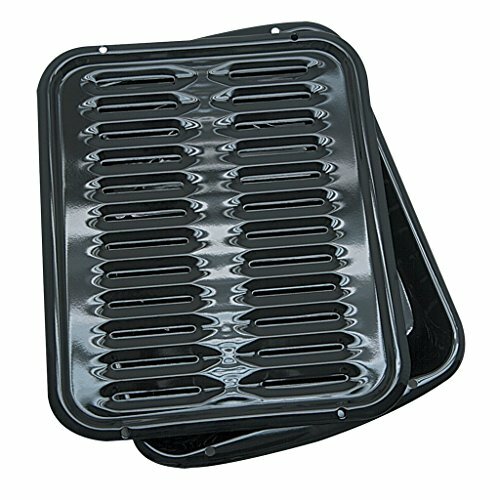 The grill pan allows fat to drip away from food, where it is collected in the base pan below. The high heat often used in the broiling process traps juices, and can give meats and other foods a bit of added crispness, similar to that of the grilling process, without the hassle of lighting charcoal of waiting for the gas grill to heat. Perfect for fish, beef, pork, roasts, and veggies.